Navigator’s, air bomber’s and air gunner’s flying log book for Walter John Smith, flight engineer, covering the period from 22 April 1943 to 7 March 1945. Detailing his flying training and operations flown. He was stationed at RAF Lindholme, RAF Wickenby, RAF Winthorpe, RAF Syerston and RAF Waddington. Aircraft flown in were, Halifax, Lancaster and Stirling. He completed 31-night operations with 12 squadron and 20 operations with 463 squadron Royal Australian Air Force, 5 Daylight and 15 Night. Targets were, Dortmund, Dusseldorf, Wuppertal, Bochum, Krefeld, Mulheim, Gelsenkirchen, Cologne, Turin, Hamburg, Mannheim, Milan, Peenemunde, Berlin, Nurnberg, Munchen-Gladbach, Munich, Hannover, Hagen, Frankfurt, Stuttgart, Givors, Trossy St Maximim, Russelsheim, Stettin, Koenigsberg, Boulogne, Karlsruhe, Wilhelmshaven, Nuremburg, Harburg, Dortmund Ems canal, Urft Dam, Politz, Houffalize and Siegen. Great Britain. 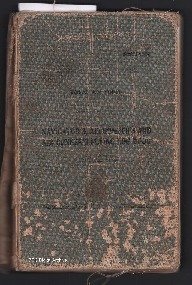 Royal Air Force, “Walter John Smith’s navigator’s, air bomber’s and air gunner’s flying log book,” IBCC Digital Archive, accessed April 21, 2019, https://ibccdigitalarchive.lincoln.ac.uk/omeka/collections/document/15136.